This is a soft cane Begonia for outdoors. 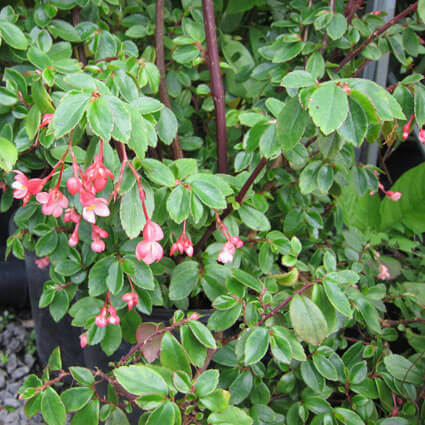 It is evergreen with clusters of pink (single Begonia like) flowers most of the year round. Morning sun/afternoon shade. Protect from frost. Keep moist in summer.